“The teaching of the Bible has a vital bearing upon man’s prosperity in all the relations of this life. It unfolds the principles that are the cornerstone of a nation’s prosperity,—principles with which is bound up the well-being of society, and which are the safeguard of the family,—principles without which no man can attain usefulness, happiness, and honor in this life, or can hope to secure the future, immortal life. There is no position in life, no phase of human experience, for which the teaching of the Bible is not an essential preparation. Studied and obeyed, the word of God would give to the world men of stronger and more active intellect than will the closest application to all the subjects that human philosophy embraces. It would give men of strength and solidity of character, of keen perception and sound judgment,—men who would be an honor to God and a blessing to the world.”— Patriarchs and Prophets, p. 596. These verses convey the idea that no one knows the day and the hour of the Lord’s coming, and therefore the Lord admonishes His people to be ready all the time. Then He draws the illustration that if a certain one knew that a thief would attempt to break into his house at a certain time he would certainly watch for him. But the fact is that no one knows exactly when a thief will enter. We as a denomination, as Seventh-day Adventists, should be able to reason out the lesson that is in these verses. According to verse 45, the Lord has made someone ruler over His household. Who would that be in God’s church, in the denomination? If we are to attach this to someone it would necessarily be attached to the President of the General Conference who heads all the work. And, of course, since his responsibility is spread throughout the churches and shared by the ministry whom he directs, it follows that they all are included in what Christ is saying here. That is the only thing that it could mean. If our application is now right that this is speaking to the denomination, the church, just prior to the Lord’s coming, then we must understand that God wants His servants to give to His household meat in due season until He comes. the Lord is about to come that servant will not be aware of it. Is that not how you understand these two statements? Up to a certain time God’s people do not know the day and the hour, but if they continue to receive meat in due season a day will come when this servant is going to be made aware of that hour, of that day. at the commencement of the Christian church. Rather, we are speaking of the time when the Lord is really to come—in the time of the end. You know that there was a people on this end of the church’s history who also expected the Lord to come long before now. I suppose you would say they were the Millerites. But to this I cannot agree, because there was no delay for them. They had set the date for Christ’s coming, and the outcome for them was not a delay, but a bitter disappointment. Seventh-day Adventists, though, since 1844 believed that in their life time, in their generation, the Lord would come and take them to heaven. You that have been Seventhday Adventists for a long time or even for a short time know that it was their expectation. Instead, however, many of them are in their graves today. In the early days our churches used to have a sign hanging inside reading thus: “The Gospel preached to all the world in this generation.” Those signs have long since been taken down. One hundred years ago everybody who knew Adventists knew what were our expectations but it is not the case today. Moreover, when at first God’s people expected the Lord to come soon, they all seemed to conform to the diet regulations which were given to the church to keep them apart from the world. But when God’s people thought that the Lord had delayed his coming, what did they do?—The majority laid aside their Adventist habits of eating and living. They seemed not to have understood that their prescribed mode of living as God had enjoined upon them was not limited to any certain time, but it was to be binding upon them until the Lord comes. What a terrible disappointment it will be to the people that for a time waited for the Lord’s coming, once lined up with His program, and then departed from it! To these the Lord comes when they are not expecting Him. This verse begins with the word “then,” indicating that it takes place at the time the Lord comes as spoken of in the preceding verse. In other words, at the time the Lord comes, the Kingdom shall be likened to something. The Kingdom of God as a crowned kingdom does not exist today, as you know. Then what is meant here by the Kingdom?—It is referring to the people that are candidates for citizenship in It. Who are the subjects for the Kingdom of God, if they are not the church? Then the people comprising the church of God shall be likened unto ten virgins. Seventh-day Adventists are expecting the war of Armageddon to take place next. When they see something different come instead they will become confused. They will then realize that the oil in their lamps (the Judgment of the Dead message) is not sufficient to guide them through this situation. Then they will long for the extra oil (additional light—the message of the Judgment for the Living) which had previously been available to them but they had failed to obtain it. Thus feeling their urgent need of it, they will demand it from those who have it. But it will be too late. By the time they arrive at the Bridegroom’s chamber, they find that He has already entered and closed the door. They knock; they plead, thinking He will surely open the door and welcome them inside. But instead, what do they hear Him say?—“Verily, I say unto you, I know you not.” And the door remains shut. Probation has closed for them. this coming He will gather all nations before Him and then He will sit down on a throne and separate them. He will put the “goats” on the left and the “sheep” on the right. Moreover He will tell each of the two classes what they have or have not done that caused them to be thus judged and separated. Do you not see clearly why we need the extra oil—the message of the Judgment for the Living? We as Adventists have been preaching the Judgment for a hundred years or more and yet never even for a moment did we see that these parables were talking about the Judgment, the Judgment for the Living! If we never saw it before we should now be able to see clearly that this Judgment included the separation of the righteous and the wicked. mill; the one shall be taken, and the other left.” Matt. 24:40, 41. Some call that the “rapture,” but it is quite different than what they think it is. Daniel here describes how the earth’s governments come to their end, not how the earth comes to its end. He interpreted the stone to be the Kingdom, and it is God’s Kingdom that will smite the nations, not Christ’s coming from heaven to take up the saints, as we Adventists have taught. Jeremiah calls the Kingdom God’s “battle axe” (Jer. 51:20). Ezek. 36:20—“And when they entered unto the heathen, whither they went, they profaned My holy name, when they said to them, These are the people of the Lord, and are gone forth out of His land. the Gentiles took God’s people captive because God was not able to defend His own Kingdom, and therefore He was unable to fulfill His promise to Israel. Thus was His name profaned among the heathen, all because of the disobedience of God’s own people. It was because God could no longer tolerate the sins of His people that He through the Gentiles had to disperse them. The heathen did not know that, though. Now God says He will do something about it for His holy name’s sake, not because His people are good. The next verses state plainly what He will do. Since all of this takes place when God gathers His people from among the heathen, then no one can dodge the fact that unless we go into the land where the cleansing will take place, we will not be cleansed and we will not receive the new heart and God’s Spirit. “True we are establishing our headquarters on this mount that is found in prophecy, but our stay here shall be very short for `He will finish the work, and cut it short in righteousness: because a short work will the Lord make upon the earth.’ (Rom. 9:28). “‘The Lord will roar from Zion, and utter His voice from Jerusalem; and the habitations of the shepherds shall mourn, and the top of Carmel shall wither.’ Amos 1:2.
word of the Lord from Jerusalem.’ (Isa. 2:2, 3), which the language of Amos is, ‘Utter his voice from Jerusalem. Looking to this same time Joel puts it as follows: ‘And the Lord shall utter His voice before His army: for His camp is very great: for He is strong that executeth His word: for the day of the Lord is great and very terrible; and who can abide it?’ (Joel 2:11). “As Amos says, ‘The habitations of the shepherds shall mourn,’ it is obvious that Amos’ prophecy is yet future, for the word ‘habitations’ (places) is in the plural form which cannot be applied to one shepherd’s habitation (denomination) but to all that be in existence at that time. The term ‘shepherds’ means, as understood, the same as ‘the ancient men which were before the house’—the ministers. 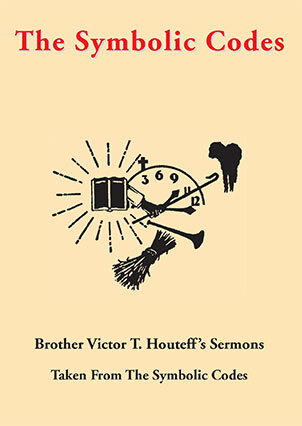 ‘Testimonies for the Church,’ Vol. 5, p. 211. Note that the shepherds are not themselves to mourn but their ‘habitations’ (their houses); that is, the membership of their churches, which fact reveals that it will be thus at the time when the sleeping multitudes in the churches awake from their spiritual insensibility and find that the shepherds whom they have implicitly trusted for their salvation and deceived all those who followed them. the summer is ended, and we are not saved.’ (Jer. 8:20). That is, after the harvest, the time in which they could have been saved, they will realize that Probationary time has closed. Then ‘the habitations of the shepherds shall mourn, and the top of Carmel shall wither.’ Hence, before that time the top of Carmel must have been green with much pasture, otherwise there would be nothing to wither; that is, though Carmel has now plenty of pasture (present truth), when probation closes it shall be deserted (‘wither’), for says the Spirit of Prophecy: ‘In the time of trouble we all fled from the cities and villages.’—‘Early Writings,’ p. 34.
it. In that day shall the fair virgins and young men faint for thirst….Behold, the days come, saith the Lord God, that I will send a famine in the land, not a famine of bread, nor a thirst for water, but of hearing the words of the Lord.’ (Amos 8:12, 13, 11). Oh, what a disappointment that will be! “‘And now ‘mine eyes’ with the eyes of the lamenting prophet ‘do fail with tears,…for the destruction of the daughter of My people; because the children and the sucklings swoon in the streets of the city.…Thy prophets [teachers] have seen vain and foolish things for thee: and they have not discovered thine iniquity, to turn away thy captivity, but have seen for thee false burdens and causes of banishment.’ (Lam. 2:11, 14). man, but the Spirit of God.’ (1 Cor. 2:11). “But now as ‘the Spirit of truth, is come, He will guide you into all truth: for He shall not speak of Himself; but whatsoever He shall hear, that shall He speak: and He will shew you things to come.’ (John 16:13), for without the Spirit of God ‘no man’ knoweth the things of God.”—The Symbolic Code, Vol. 1, No. 14, (August, 1935), pp. 5-7.